As most of you already know, Mesmer is considered one of the, if not “the”, best classes around. We see a lot of threads daily complaining about evades, blocks, invulnerabilities, massive damage etc. But most of these threads are useless because they add nothing to the topic. I think it’s time to say what needs changing and what doesn’t. Chaos traitline is the defensive and boon-focused traitline of Mesmer, and has a lot of boon stacking tied to it. It has more than decent amount of Protection - Regen application, and can provide other boons. The biggest issue of this traitline is Bountiful Disillusionment - Chaotic Persistence - Descent into Madness combo. That provides so much boons and gives boon duration through Chaotic Persistence, allowing the Mesmer to keep up other boons such as Might and Vigor. With the recent changes I think this traitline is more in line but still needs little tweaks. This might be one of the most balanced trailtines in the game, it has some nice things in it, but the other traitlines provide more utility because of the Meta we have right now. It provides Fury - Vigor and enchances critical hits, but other builds can keep those up and grant extra things aswell. This traitline is support and bunking focused, has cleanses, heals and some boons. Used with Chronomancer-Bunker builds. I think it’s balanced. Not the best, not the worst. This traitline is focused on interrupts and vulnerability, and has probably the most annoying trait, ever. Confounding Suggestions. This trait inflicts stun whenever you daze a target. Mesmer has a lot of access to daze through Diversion, Mantra of Pain, Mirage Thrust etc. What I would do with this trait is either replace Confounding Suggestions with something else, or lower the chance of inflicting stun. Confounding Suggestions combined with Mental Anguish and some burst through Greatsword, makes a strong combo and it’s almost uncounterable because if the Mesmer shatters with 2-3 clones, they apply stun 2-3 times. So even if you stunbreak through the first, you’ll probably going to get caught second time and get bursted. This traitline is focused on Shatters and clones, improving damage and utility. The traitline is mostly balanced but - Persistence of Memory combined with the crazy boon stacking from Chaos line, the quickness and Might Mesmer gains from Phantasmal Haste and Phantasmal Force, the Damage boost Mesmer gets from Compounding Power and the phantasm-spam we have right now, it is too powerful. The latter seems more effective and wouldn’t cripple the Mesmer players with another Internal Cooldown. The only problem of the traitline is Chronophantasma, which spawns another phantasm when you cast one. It’s powerful because of Persistence of Memory or if the Chronomancer is fully offensive, it can output massive amounts of damage. The best example would be iDisenchanter. -Making Chronophantasma recharge that phantasm skill, instead of passively spawning it. This would add more active gameplay and reduce the visual noise. -Adding a cap of maximum 3 active phantasms. Now by active phantasms I mean newer ones won’t replace the older ones. Instead, they will go in a queue. For example, I cast iBerserker on Greatsword and swap to Staff, then cast iWarlock. This would spawn 6 (8 if Imagined Burden is traited) phantasms and would go over the cap. Now with my idea, first 3 phantasms will perform their attack, and turn to clones. But I casted 6? Other ones will spawn after the first 3 executes their attacks, again, reducing the visual noise. “Tons of blocks, invulns, evades..” We see those everytime in forums. Well the Mesmer needs a lot of things combined to do that. Self-Deception : This provides an instant extra clone from Jaunt (which is the only Deception skill people use). Making the life easier for Shatter builds. The correct fix would be making the clone spawned spawn dazed. Like 0,25 seconds. Renewing Oasis : This basically is permanent Regen if you have Staff. It also gives condition duration reduction so if the Mesmer isn’t against a Scourge, this trait is a straight up %20 damage reduction against condition builds. The correct fix would be lowering it to %12-15. Nomad’s Endurance : Permanent Vigor and permanent +150 Condition Damage. Correct fix is changing the numbers. The infamous trait. Having an on-demand stunbreak with 10 second cooldown (7,5 with Vigor, which is mostly kept up) is overpowered. The problem is, this trait can’t be balanced without destroying it, just like Sand Savant. Mesmer players have been saying that the trait would be overpowered and should be replaced since the beta weekends. It is a very forgiving trait because even the Mesmer gets hit by a well-timed stun, this is a get out of jail free card. But Exhaustion was the wrong answer. Exhaustion is an unfun mechanic. We saw that with the Unhindered Combatant change. The problem is Mirage has no access to direct endurance gain like Daredevil and Mirage is still powerful and will still be powerful because Mirage Cloak can be casted while stunned. That rends any well timed crowd control skill useless. I can think of some fixes, but they’d make Elusive Mind obsolete. -Removing the Stunbreak. Easy and simple. -To compensate (optimal), the Mirage clears a condition whenever it gains Mirage Cloak. 1. Mirage can't hold a point. 2. Mirage can't one shot. 3. It's more or less like a thief good in roaming and +1 but slower than a thief only can compete with a thief if you play sword and if so the condi damage is minor. 4. The good skills have long couldown's like torch 1 and 2 and torch 1 is so ez to be evaded with the sound effect so all you need to do is to wait 2.5sec and dodge or just move away especially the mesmer is slower than chrono(+25% speed). 5. The only problem is that mirage is all around cos it's the most fun class to play was it in pvp or pve and mirage is good vs core builds in general but not the SD thief(so much evades and free teleports and spam-able unblockable ). 6. Torment is not a good condi however the only good condi a mesmer can do is confusion forcing the high lvl players to disengage so they don't suicide using skills however the stupid players keep fighting and die and blame mirage for being op when the only problem is him being stupid ,so if you remove the confusion damage the condi mesmer in general gonna be useless and everyone gonna swap to power chrono if they are die-hard mesmers or just change the class . The one shot power ele . The one shot core gard . S/D thief with the spam-able unblockable with 5k+ damage with crits with an evade frame what more you can ask for. P/P thief is op it the best version of deadeye and its not played in high lvl games simply cos they are ashamed to play it cos it's so ez . Scourge is lovley corupption is real in huge AOE's and the bariers make the scourge harder to kill more than a reaper if in good hands . The lovly FB support . The scary SB with perma resistance and double swing kill. If history is a guide, Mirage is likely to be destroyed and/or Mirage distortion given to another class. I'm not saying I think that's appropriate or justified... but that would be in line with previous changes. I'm afraid to lose interest in the game if they destroyed the most class i love .it's a very hard class to play and master and in the same time its the most fun if they change it to something boring or useless like renegade i'm likely gonna quite the game . You don't have a clue don't you! brace for the power Creep after they nerfing the condi dmg especially the ele the only reason why ele isn't around cos its the hardest class to play however the burst combo for the one shot is ez and that all you need. And about rev i specified ( one shot rev) that build is broken and i didn't said the bunker ventari cos the banker gard and ranger took it place .however rev is very bad vs condi bombs and totally kitten if you are a renegade . i may agree with you that rev need some kind of buff in term of survivability (brace the new ventari meta then) but the damage need a nerf. Mesmers in the other part are in the middle that why it not op was it condi or power, the power mesmer can only one shot in WvW not in sPVP and the bunker chrono is a lot less effective in holding a point , but druid can when being deadly, same thing about bunker gard . My point here is mesmer's aren't crazy OP in anyway .the bunker mesmer isn't the best bunker the bursty mesmer isn't the most damaging the roaming mes isn't the faster it's in the middle . Dude...Do you mean fresh weaver? Do you know what happens when condi mirage burst this build? Come on....Plz try to play it yourself before making such statements. It might be not OP but the iteration of elusive mind is way too strong. Having a trait that makes the core concept of mirage even stronger is a bad idea imo, or rather, if the balance really wanted that, the cost of proc'ing its effect is way too low. Even chrono didn't have that. I feel what you talking about that specific trait is op i totally agree having a stun break on dodge is the best trait on available for the mirage but not the condi cleans however this trait is essential because the mirage is squishy and the dodge is without movement to be out of danger if they remove the stun break then you gonna be dead one time you are stunned . However everyone on the forum aren't talking about that they all talk about the confusion and burning damage when other classes can one shot from 1200 rang. i'm just scared that mirage gonna be the next renegade ,because mirages burst are very high risk for a hope of a good reword cos you waste your stealth and condi cleans torch 1 and the F1 F2 skills and load of other skills and dodges so you can land a good burst if that didn't hit fully or partially you are in a bad position and if they reduce the condi damage especially from confusion the mesmer gonna be useless in sPVP cos your pressure gonna be low and negligible especially vs bunkers when they don't need to activate a lot of skills for the confusion to be effective. On a scale of 1 to lots of drugs, how many drugs is the OP on? The one shot power rev . -Tries to justify ele and rev one-shotting, even though they are the weakest classes. This honestly sickened me that you HONESTLY tried to back this kitten up with one of the weakest arguments to date. Mirage's job is to NOT hold points, but to basically do what thief does. Provide utility through taking down priority targets and providing mobility to themselves/teammates, while even getting +1s to key fights. Explain to me how you expect a damage spec to hold a point, when their whole theme is to evade and stay out of your good range? A mirage standing still is a dead mirage. yo really just can judge from a necro point of view (no scourge). i get absoulty rekt agianst mirages... and that they dont one shot is a lie they burn through full shroud and health wiht me using cele amulet or marauder. the one part that is highly OP is that they are never really tocuhable.. once they show up they passivly evade on actions making it impossible for me to send a single condi back... i have plyed hundrets of pvp matches now and roam a lot in wvw.. i have yet to see my first condi mirage kill... chrono at least was doable, i felt i had a fair chance.. but since i cant condi transfer due to the evades this classs is clowning OP. also i have seen a lot of other threads the last weeks here were ppl argue that mirage right now is on a whole different level in 1v1 in comparison to other strong pof specs. last but not least it was the only class that was not really touhced in the recent balance patch. confusions stacks remained the same. that alone cries for inequality. you saying mesmer should +1 yeah agree so mirage need a good burst mechanic to do that and if you remove the burstiness from it then good bye it's the new renegade and the confusion is the condi which mirage use to burst nerfing that is the worst idea ever . and about UGO !! what you talking about frostball and misha were playing mirage and actually one of the UGO rules that you can play 2 mesmers in the same team but not the same spec for example chrono and mirage . and fresh wever the one shot version is killing it in spvp you will recognise that if you face one . the rev is more or less not available due the lack of condi cleans that's the only reason he isn't around much and if they nerff the condi damage you will face him a lot. @Yukio blaster.9082, can u show us own build??? that don't sound like a one shot to me ! and i will tel you how to transfer the conditions ez, target a clone or a phantasm and i my self random dodge after my burst when fighting the necros with plag signet simply because they auto react and activate it if i land my burst on them.and from what you said i guess you are not that experienced and mirage evade is like a normal dodge they can dodge your transfer ez if they pay attention to the hug circle above your head when activating the signet like every other class. and i'm talking about the one shot on spvp not in wvw still the power mesmer can one shot a thief or other mesmers. Such a load of kitten OP. all kitten lies. This is what happens when A-net created a meta post core game that created builds with almost drastically reduced weaknesses. then kept inflating power. and then amongts those builds that are now created to have to deal with every game mechanic, CC, Burst, Condi's, mobility. and then amongst those new all arounder builds create overperformers and u get this. Honestly we need a complete kitten nerf back to core levels for all classes, even kitten classes with gimmicks such as deadeye, soulbeast etc. assuming that is not possible. bring this kitten which is all pof builds back to end of HoT levels that way u can atleast have actual build diversity. it's a few builds such as these that kitten kill so many pre pof levels from bieng playable. We don't need mirage to be gutted, we need an actual thorough balance patch that adresses all classes. so that mirage relatively isn't kitten. funny enough, threads such as these that don't ask for a class to be gutted are also part of the problem. U don't need to destroy a class to achieve balance. and that is a-nets fault. maby if the nerf hammer wasn't so kitten terrible. people wouldn't bend over backwards to protect thier classes. 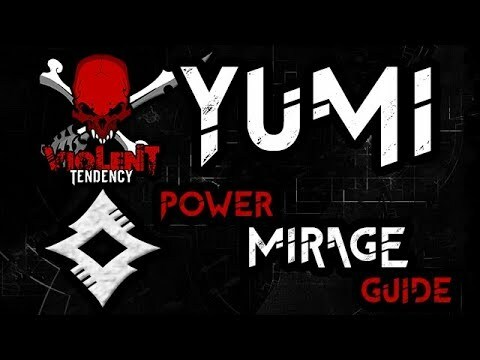 that's a guide how to play power mirage but no real 1 shooting if it's more than 1 sec the burst can't kill only if someone is already low or you are lucky to land the 3 clone shatter with crits and that situational however everyone are talking about the condi mirage not the power one and that what realy pisses me off when the power version is much more burstier and that from the core specs . This post is so bad it has to be a troll. this is impossible in normal stats and what i told you to do is what high lvl player's actually do and the mesmers when fighting necros in general they burst and shatter the clones and run out of reach so the necro can't transfer the conditions and then comeback to interrupt the heal with f3 if needed or with sword ambush but a one shot with this meta impossible especially with full shroud !! and necro especially power got a hug burst to power damage last patch so you saying that your only damage source is transferring the conditions !! the point of no return was HOT release and the boon spam with the elite mechanic . Yea, i'm sick of revenants in every game. Players purposely reroll to revenants. Everytime i see revenant i run away, because they will oneshot me and i will not be able to do anything. (sarcasm) If you somehow met revenant in ranked, it probably was me or neighbor's cat. Ofc you are scared. you just don't wanna lose class that good against any foe. Condition damage burst. Condition damage. Burst. Condition damage. Damage over time burst. Sounds strange. Also it seems familiar, right? With scourge, that does the same, bursts you with bouquet of conditions. Difference is that Mirage has over20 stacks of one condition, scourge has over20 condition with one (ofc not) stacks. These two are overtuned. It's clear as day. Conceptually, a class designed for 1v1 shouldn't lose to a class whose 75% of skills are aoe, with group gameplay. The biggest issue we had is with HoT they try to make everyone 1v1 viable giving few to nothing to core duelling class (and, no, chrono was never at the same teamfight utility as ele/necro/gard in PvP/WvW.). So if you play a profession like that, better be prepared to cut the majority of your skills (making all of them single target and so on.). And I always laugh about the on death clone removed for the reason of cheesy (3rd of mesmers mecanics) and passive (it was not and I can discuss for days about it.) then we look at war/holo/thief evade : is has way less couterplay than on death and it's a lot more effective than it was. Seems that somes are allowed to be cheesy. I guess you said Broken for "out of order" something like that eh ? In that case, you're right. The Fresh Air ele, is a High risk high reward on bad thieves only. Really, dont speak about a class you dont know, that's tiresome. The Mirage isnt OP. His ability of quick confusion stacking is. That's why they'll change the confusion work system on next BP. hahahahaha that's hilarious balouga is crazy, that's probably a core mesmer full berserker with mantra's need a rework too one shooting shouldn't be a thing. A mirage that thinks power rev is op, you know I don't even know what to say. ele one shot is all over the place in plat 1 and above the rev in the other side is rare cos the condi cleans is so bad but still if they nerf condi damage then you will see him a lot with there lovely bursts. The one shot ele is more effective in team fights and bad thiefs are just bad and i'm saying that cos the ele is all over the place now in plat 1+ we literally plan at the start of the game to target the ele first before the necros and you likely gonna die from that burst before you start paying good attention of the placement of the ele in the map. About the mesmer confusion only noobs get's more than 10 stacks of confusion in a time or if you are stunned and you wasted yr stun breaks . You all missed my point the power creep is real you cant deny that the rev can one shot too but the lack of condition cleans in most of good rev build make that class less effective in the new meta .but that don't mean that rev is bad it's just there are more damage focus classes now with better sustain(HOLO hello) . "...if you play sword and if so the condi damage is minor." You lost all credibility with that line. 10 stacks of confusion isn't minor. Add on 4-6 stacks of burning that you have to cleanse and you have even more insane damage. How does it one shot? The highest damage skills it has top out at like 8k even with 25 might against a no extra toughness enemy, and they all have cast times, so can't string them all together to call it a one shot. minor compared to axe condi damage or staff and scepter the sword have no condi stacking not so ever and all the damage you talking about is from the chatter and just for you to know the condi mirage with sword and not axe is harder to master ,and to stack condi's with by using the illussionary leap or the ambuch leap shutter. and you should know that 5 stacks of confusion or less isn't that good . and what you said don't sound insane cos i can dodge the burning burst with ez the sound of stealth and after 3 sec the burning chatter however being dead before you have the chance to cleans anything or to dodge the damage or what ever that insane and that exactly what an ele can do. ...The hell are you smoking? Mesmer isn't OP and hasn't been for the majority of the life of the game. In fact, I recall years when it was generally agreed that Mesmer was "trash tier" after the big glamour nerf. It's not a straightforward, "swing the sword" class. It requires a certain level of skill, situational awareness and knowledge to fight a reasonably proficient Mesmer. That is the reason it may be perceived as OP. Mesmer will continue to be regarded that way for as long as it wins fights. A big example was clone death. It was condemned as "toxic." Yet, Necromancer has virtually the same skill and has had it since gw1. One possible takeaway is that it's "toxic" because it's a Mesmer skill. Removing that ability downgraded quite a few builds. I'd love to see clone death return to today's aoe spam environment. My point is that Mesmer takes a lot of flack simply because it can be tricky to play against. Two possible paths present themselves; one is to learn the other is to scream for nerfs. They really need to bring back down votes. The one shot CORE guard... This guy. If all these classes are one shotting you then it is an OBVIOUS l2p issue. You have so much utility against these builds that you should barely even be touched. Not to mention these classes you mentioned (besides the ele) has next to no sustain. For as long as I can remember mesmers have ALWAYS been a top tier class. You NEVER saw a "pro league" team running without one. Granted it takes a high amount of skill to play one effectively but that furthers my point that it is a L2P issue. I wouldn't say mirage is OP but it does need to be toned down. A GOOD mirage is near impossible to lock down and should win vs EVERY class 1v1. Funny you didn't even mention spellbreaker, the only class that can out sustain you and give you a hard time. HoT thief is probably the only counter to mirage. The handsome power rev being removed from the list. yeah the scary SB i forgot tnks for the reminder and in the pro league the mesmer is chosed for the portal that it and if you watch them again you will see the amount of dead mesmer's in the games especially helseth . I havent pvp on this season yet, but...really, is Fresh air ele is all over the place on Plat? Its not Scourge/Firebrand/Mirage? Anyway, whatever is true or not, i guess that says a lot about this Season, where a bad gimmick build can reach Plat 1...we all have some bias towards our main professions on the game, but what you doing here is just ridiculous, lol trying to compare the most underperfoming builds to one that is considered top tier...Helseth himself said that Mirage is greatest cancer that Anet have ever made, maybe second only to bunker chrono. 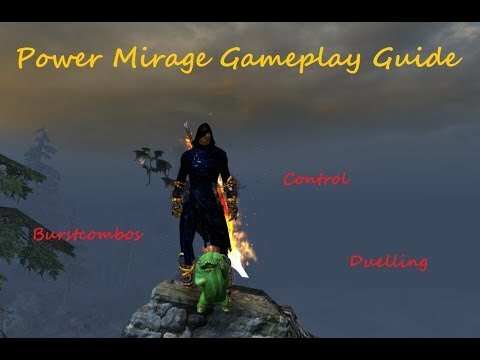 Yes, this is all a conspiracy from the pvp community, Mirage is the pinnacle of balance, but we are just bad and want to see Mesmer and all its specs nerfed to the ground...in truth mesmer mains are the best players, they are not getting carried by bad designed skills and traits, we are just bad and must L2P. Portal, moa, good damage and sustain. I have watched a lot of pro league games and you even see helseth 2v1ing a point for a long time even. He MADE the class op with the high skill ceiling. Regardless mirage is a different beast altogether. Too much sustain AND damage. One needs to be toned down. The Pro league is long over. The skills have been changed and those builds are no longer in primary use. This illustrates the point I made earlier. The bold emphasis is mine. You admit not PvP'ing this season and then go on to speak at length about how Mirage is OP. This is the type of response Mesmer deals with often. Most annoying thing about mirage, and to some extent thief and druid, is the perpetual evade/invuln/stun coupled with de-targetting and re-targetting. Scourges are a better punching bag. I doubt mirage will be destroyed though, but inevitably toned down. Mirage IS OP, stop trying to find excuses.